Shapes Lumpy tops with a slightly irregular shape that are 3-5 inches in diameter. 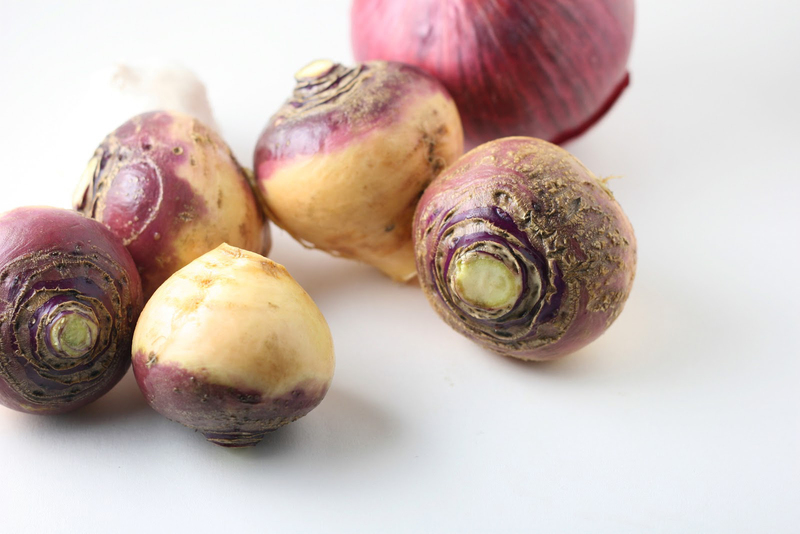 Rutabaga (Brassica napus L.; Napobrassica group), also referred to as swedes, Swedish turnips, and turnip-rooted cabbage, is a member of the Cruciferae. 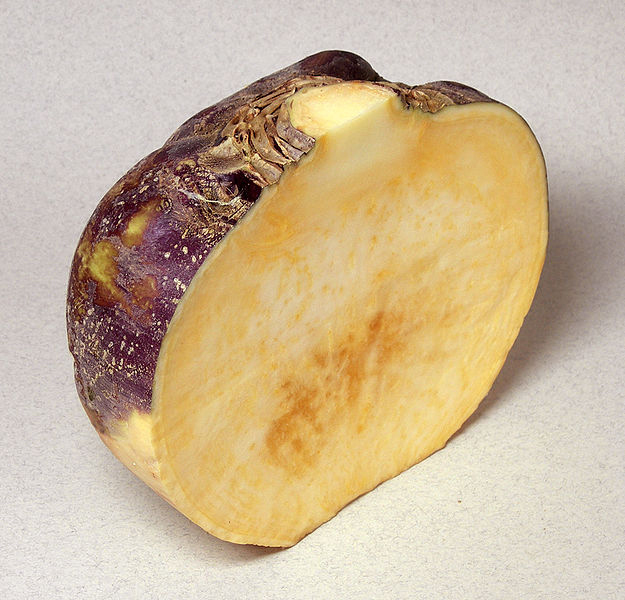 The word “Rutabaga” comes from the Swedish “rotabagge,” which means root ram, baggy root, thick root and ram’s foot. Rutabagas are only called rutabagas in the U.S. throughout the rest of the world, they’re known as swedes. This root vegetable is supposed to have originated in Bohemia in the 17th century as a hybrid between the turnip and wild cabbage. Not to be confused with its relative the turnip; rutabagas are actually larger, denser and higher in many essential nutrients. American Purple Top Rutabaga, Joan Rutabaga, Laurentian Rutabaga, Marian Rutabaga, Heirloom and Gourmet Rutabaga are some of the popular varieties of Rutabaga. 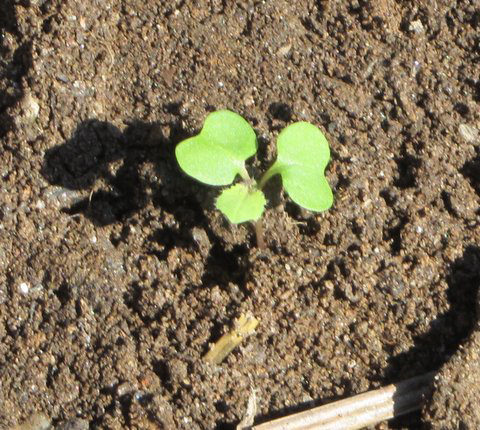 The rutabaga, a biennial plant (grown as an annual) that produces seeds during the second year of growth, belongs to the cabbage family and has similar foliage and suffers from the same pests and diseases as cabbages. They are believed to be a cross between a cabbage and a turnip. It is a biennial, glabrous, glaucous herb sized 30–150 cm tall and is a cool-season vegetable that withstands frost and mild freezing. It thrives best in a moderately deep, well-drained, fertile and slightly acid sandy loams, loams and clay loams which are well supplied with organic matter. It has a well-defined central taproot and minimal secondary roots and erect, branched stem. Leaves are smooth, waxy that are thick like cabbage and are medium green to blue-green in color. It has small and light-yellow petals, broadly obovate, apex rounded; claw distinct 5–9 mm. Fruits are linear, 4–11 cm × 2.5–5 mm, terete or slightly 4 angled, sessile, divaricate or ascending which features dark brown or blackish, globose, 1–2 mm to 3 mm across, minutely reticulate seeds. Rutabaga, a close cousin of the turnip, is a member of the cruciferous vegetable family and is cool-season vegetable that withstands frost and mild freezing. It is a well-shaped, purple-topped root having a smooth, small neck and a well-defined taproot with a minimum of side roots. It is free of blemishes and bruises. The root should be firm, fresh looking, sweet and not bitter, and heavy for its size. Lightweight rutabagas may be “woody”. 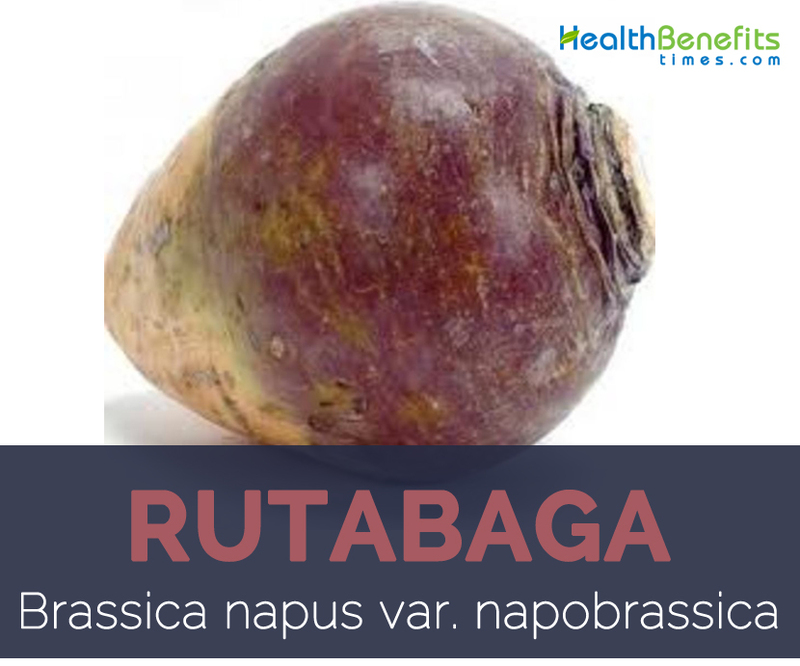 Normally Rutabagas are fleshy, napiform or globose root that have lumpy tops with a slightly irregular shape that are 3-5 inches in diameter. It is purple, white or yellow or greenish tinged colored. Skins are usually thin pale yellow and have yellowish flesh. The rutabaga has a nutty and sweet mild turnip-like flavor and mild peppery, sweet taste that is similar to both cabbage and turnip. 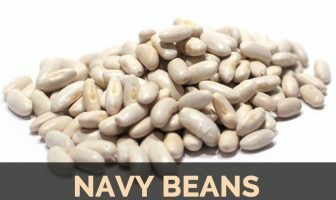 It is nutritious, inexpensive and easy to prepare vegetable so it is a great staple for any family or student diet. 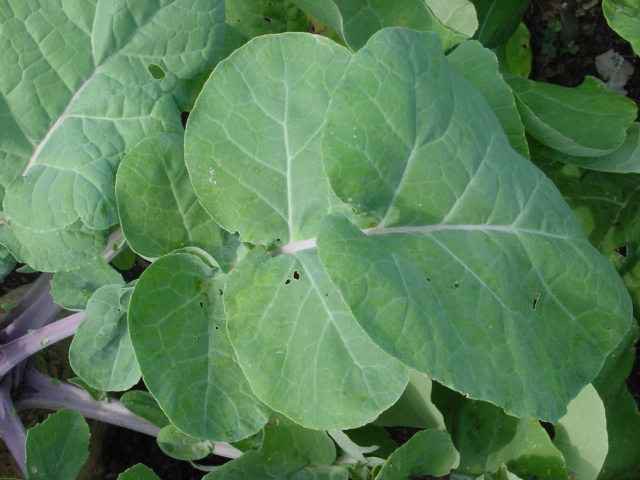 Brassica napus also referred to as Rutabagas is native to Europe but not known in the wild; it possibly evolved during sixteenth century as an allotetraploid derived from wild cabbage Brassica oleracea and turnip Brassica rapa. 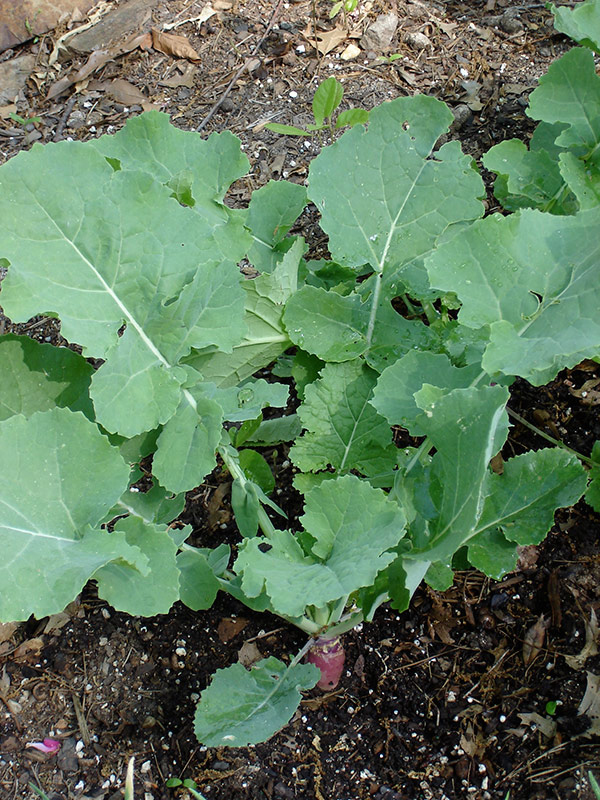 Two varieties of Brassica napus are recognized: var. napus and var. napobrassica (rutabaga or swede). Rutabagas are grown for human and animal consumption. Rutabagas have been introduced to North America, North Asia and elsewhere including Australia and New Zealand. It is cultivated rarely in the highlands in Southeast Asia. Today the rutabaga is grown in the states of Washington and Oregon. It is a major export of Canada, where it is called the Canadian Turnip. Apart from their mild peppery, sweet taste Rutabaga is a good source of nutrients, vitamins and minerals. Consuming 140 gram of rutabagas offers 35 mg of Vitamin C, 0.14 mg of Vitamin B6, 74 mg of Phosphorus, 0.126 mg of Vitamin B1, 12.07 g of Carbohydrate, 427 mg of Potassium and 3.2 g of Total dietary Fiber. Rutabagas consist of higher amount of antioxidant compounds that are potential natural cancer treatment. Glucosinolates are sulfur-containing compounds that have been shown to reduce the growth of cancer. Several researches have proven that brassica vegetables are protective against cancers of the lungs and alimentary tract. Just like other cruciferous vegetables, rutabagas are naturally very high in fiber. One cup rutabaga has over 8.42% of your daily fiber requirement, making it one of the most dense high-fiber foods. Dietary fiber improves digestion by bulking up the stool and encouraging elimination, so rutabagas can provide natural constipation relief. Research in the World Journal of Gastroenterology showed that dietary fiber intake can obviously increase stool frequency in patients with constipation. Rutabaga is a common root vegetable that are good sources of potassium. Potassium is an important mineral for the proper function of all cells, tissues and organs in the human body. It’s also an electrolyte, a substance that conducts electricity in the body, along with sodium, chloride, calcium and magnesium. Rutabagas consist of considerable amount of Vitamin C which is extremely important for many bodily processes, like stimulation of the immune system to produce white blood cells, which fight against bacteria and infection. Vitamin c helps to improve the outcome of pneumonia, malaria and diarrhea infections. Overall, vitamin C plays an important role in immune function and the modulation of resistance to infectious agents, reducing the risk, severity and duration of infectious diseases. Due to the high-content of fiber, rutabaga manages blood levels of cholesterol. Edible tuberous root is eaten raw or cooked. Rutabaga is boiled, baked, roasted, used as a flavor enhancer for soups and roasted served with meat dishes as the main ingredient in the popular Christmas dish swede casserole ‘lanttulaatikko’ in Finland. Uncooked, rutabaga is thinly julienned as a side dish or used in a salad. Rutabaga is cooked and mashed with potatoes, carrots with butter, cream or milk to produce a puree called kålrot or rotmos, in Sweden and Norway. Kålrot is an essential accompaniment to many festive dishes including salted herring, smalahove and pinnekjøtt in Norway. Scots boil and mash rutabagas and potatoes separately to produce ‘tatties and neeps’ served traditionally with the Scottish national dish of ‘haggis’. Neeps are also mashed with potatoes to make ‘clapshot’, a traditional Scottish dish, and used in soups and stews. Rutabagas are mashed with carrots and eaten as accompaniment to the traditional Sunday roast in Yorkshire and Lincolnshire. Canadians used rutabagas as filler in foods such as mincemeat and Christmas cake or as a side dish with Sunday dinner. Americans consumed rutabagas mainly in stews and casseroles and served mashed with potatoes or baked in a pasty. Rutabaga is traditionally served boiled, mashed and a smoked worst (sausage) served alongside in Netherlands. Swede is boiled together with carrots and served either mashed or pureed with butter and ground pepper in England. Rutabaga is used in casseroles, stews and soups as a flavor enhancer in Australia. Leaves are edible and can be prepared in similar fashion to mustard greens or Swiss chard. Brassica napus is one of the most important sources of seed vegetable oil. 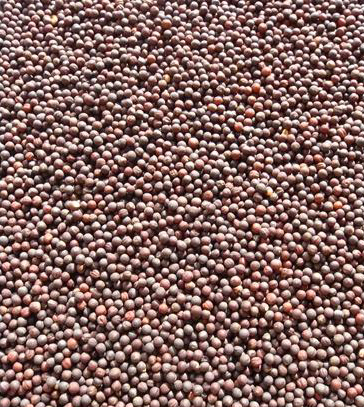 Seed oil is used in the manufacture of lubricants, grease, lacquers, varnishes, soap, resins, nylon, plastics, insect repellents, stabilizers and pharmaceuticals. Rutabagas with yellow flesh, which have a bitter taste, are usually used for human nutrition, while those with whitish flesh are used as fodder crop. Rutabaga is also used as forage for livestock. Rutabaga is a cruciferous vegetable; it contains raffinose, which is a complex sugar that can sometimes cause abdominal discomfort, bloating and flatulence. If you are allergic to turnips, cabbage, spinach or any other cruciferous vegetables, consult a physician before adding rutabaga to your diet. While purchasing rutabagas, choose the ones which are yellow to tan colored and also have a smooth, blemish-free skin without any indications of wrinkling or even shriveling. For cleaning rutabagas, wash them first as well as peel off if the skin is thicker or even wax covered. Rutabagas could be maintained to one week, whenever kept in the refrigerator in the plastic material bag. Rutabagas can be consumed raw or cooked. Since they are waxed, they must be peeled. Rutabagas can be baked, roasted, boiled, braised, steamed, stir-fried, or microwaved. Cook them with potatoes and mash together. Quarter them and roast along with potatoes. Enhance the flavor of stews with chopped or quartered rutabagas. Dice them and add them to soups. Peel them using vegetable peeler and enjoy as a snack. Chop, dice, or grate them into salads. Grate them into coleslaw or carrot salad. Cut peeled rutabagas into 1/4-inch slices. Place them in a baking dish and sprinkle liberally with water. Cover with foil and bake at 350 degrees F. for 20 to 30 minutes or until tender. Quarter rutabagas, brush using vegetable oil, and roast about 1 hour, or until tender. Place whole rutabaga in boiling water and cook till tender, about 25 to 35 minutes. For sliced rutabagas cook 7 to 10 minutes. Place sliced or cubed rutabaga in a saucepan. Add vegetable broth to cover the bottom of the pan by 1/2 inch. Cover and simmer for 15 to 20 minutes. Whole or cut rutabaga can be steamed over boiling water for 25 to 35 minutes. Thinly slice rutabaga and fry till crisp and tender, about 6 to 7 minutes. Stir-fry with onions. Cube rutabaga and place in a microwaveable baking dish. Add 3 tablespoons of liquid. Cover and cook until tender, about 7 to 9 minutes. Remove and let stand 3 minutes before serving. Cut rutabagas into strips or slices and blanch for 2 minutes in boiling water before freezing. Rutabagas can be cooked and/or pureed before freezing. Calories 52 Kcal. Calories from Fat 1.98 Kcal. Calories 51 Kcal. Calories from Fat 2.79 Kcal. Calories 72 Kcal. Calories from Fat 3.87 Kcal.